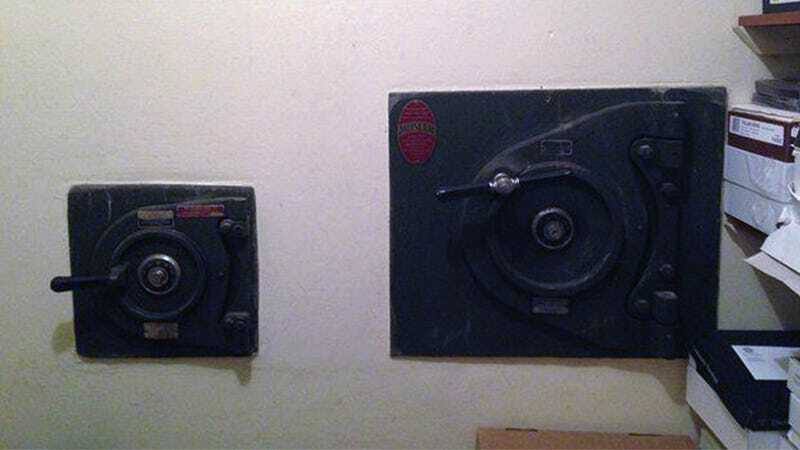 Steve Fulop—the new mayor of Jersey City—has found two mysterious safes inside a vault of the mayor's office. Nobody alive knows who put them there or what's inside, including the previous mayors. Dirty money? The bones of Jimmy Hoffa? A recording of some mobsters planning the assassination of JFK? I've never been in the safe and I have no idea how far back it goes. I don't think anybody's been in it in years. That was from the good old days or 'bad' old days when there was more money floating around city hall. Gerry McCann, the mayor previous to Healy, says he doesn't have a clue about what's inside them or where did they come from. We will know soon, as Fulop is hiring a professional to crack them open.